Posted on: August 26, 2015 By: Christopher Brown, Esq. When accidents are caused by property that is either dangerous or defective, they are referred to as “premises liability” accidents. Premises liability accidents in Virginia can take place on the property of private residences, such as homes or rentals; public property, like streets, community centers or transportation depots; and commercial buildings, be they stores, offices or otherwise. Dangers can appear on a property for many reasons, but erroneous design, poor construction, inadequate building materials and inadequate security for starters. Oftentimes simple negligence is to blame. Hazards do not necessarily have to be structural, and often times they arise due to unsafe amounts of clutter piling up around the site. Whatever the cause, dangerous conditions can lead to different types of accidents, including falls, slips, trips and collisions. Certain sites may also pose the threat of having something fall on a passerby. For more information on common accidents, review our informational article, Types of Premises Liability Cases. Although it is fairly easy to ascertain when a premises liability incident has occurred, it is often more difficult to determine who, if anyone, is at fault and legally responsible for any injuries that may have been suffered. Once determined, proving fault in premises liability cases will require legal assistance. The specific circumstances can potentially cause the incident to become quite convoluted, but there are a few general guidelines regarding the primary tenets of a premises liability accident that will help supply a basic understanding the topic. 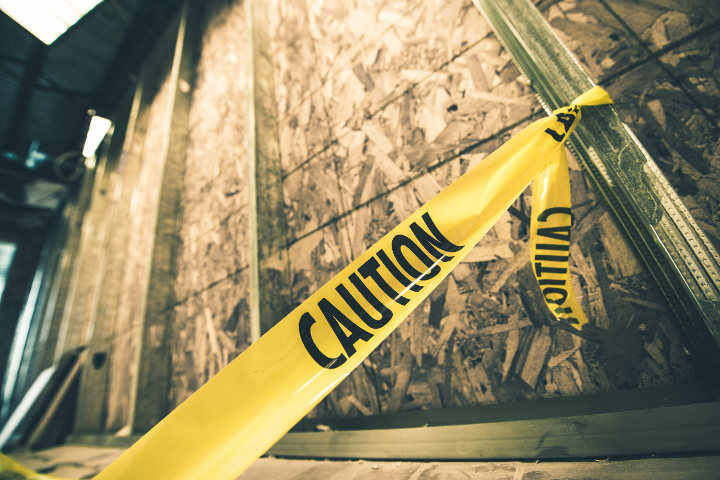 Two general guidelines can help determine responsibility for a premises liability incident. There is a responsibility on the part of the owner or occupier of any property to not subject anyone who enters their property, be it for business or personal reasons, to any unreasonable or unnecessary risk of injury. This unreasonable risk can be understood to be any malfunction, flaw or defect relating to the construction, condition or design of the property that can be reasonably rectified by the owner or occupant. The rationale behind this stems from the fact that the owner or occupant of a property has the ability to oversee and maintain the safety of the premises, whereas the visitor has no control over the state of the property whatsoever. The second guideline to finding responsibility in premises liability incidents applies to the person suffering the injury. If an individual is injured while acting in a dangerously careless fashion, or in a way that is not expected or reasonable for the property, then the owner or occupier of the property is not responsible. While the owner or occupier can and should maintain proper safety conditions, they cannot control the careless or reckless actions of someone visiting their property, and are thus not held responsible. The owner and occupier of a given property are often two different people or entities, as is the case with rental properties or business facilities. If the owner and occupier are different, it is more difficult to identify who is responsible if an accident occurs. In many cases, the type of space or dwelling will determine who is liable, but even then the circumstances and specifics of the accident can come into play. If someone suffers an injury on a property other than their own and desires to instigate a premises liability case, it is best to file a notice of a negligence claim against both the owner and occupier of the property and allow their insurance companies to decipher who is at fault. Injuries occurring on properties belonging to businesses and offices should be directly and immediately reported to the onsite occupier. There will often be language written into the rental or lease contract regarding liability between owner and occupant, but it is for the businesses and their insurance companies to decide who is ultimately at fault on a case by case basis. In regards to guest or tenant injuries that occur on a rental property, the party at fault is almost always the person in charge of the maintenance and upkeep of the facility. The landlord is usually responsible for structures and amenities outside of the rented unit, such as doorways, staircases and walkways, as well as the immovable objects within. Interior immovable objects can be thought to be items like appliances, floors and walls. The tenant, therefore, is responsible for the movable objects within their unit, such as small pieces of furniture, lamps and personal possessions. If, however, a tenant is aware of the dangerous condition of an interior immovable object but does not alert the landlord, then they too might be held legally responsible alongside the property owner if an incident occurs. Accidents taking place on the property of a private home are usually the responsibility of the homeowner. In some cases, if the house is completely rented out to a single tenant, the renter might also be responsible. If an injury is suffered on the edge of two properties, such as on a fence splitting two homes, the party at fault may not be immediately obvious. In this case, a claim should be filed against the owners of both properties. At this point, the matter of ultimate culpability will be sorted out between themselves and their insurance companies. Understanding the rules and guidelines of slip-and-fall accident claims can greatly assist you as you pursue your case. It can help you determine whether pursuing a claim is a good option. However, because of the complexity of Virginia premises liability guidelines, it is best to consult with an experienced premises liability attorney. Pursuing a lawsuit is a big decision. The Brown Firm PLLC offers free initial consultations with highly experienced litigators in order to help you make the best decision. If you would like to learn more about our services or, to discuss your case – call The Brown Firm PLLC or send our attorneys a question online and schedule your free consultation.